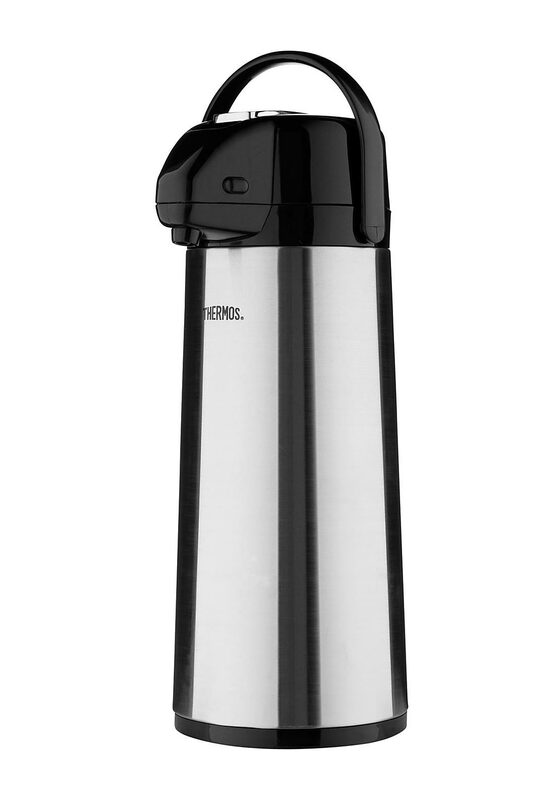 Genuine Thermos Brand present the Glass vacuum insulated double wall pump pot for maximum temperature retention. 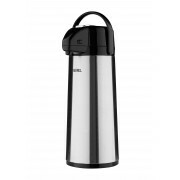 It features a 360° swivel base that allows you to redirect the pour without lifting pump pot and has a sturdy carry handle for maximum portability. Removable pump head for easy cleaning, easy lock top keeps lid secure and helps guard against spills and easy to use push button dispenser.